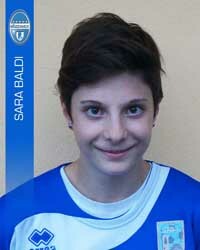 SARA BALDI HERO BIANCOCELESTE AT THE TOURNAMENT OF THE REGIONS! Lombardy's 15 Representative triumphs at the tournament of the regions, thanks to the victory for 1-0 on Emilia Romagna in the Montepulciano final. And with great satisfaction of all the company Mozzanica (31 networks this season), to decide the meeting and put the mortgage on the trophy was our little great Sara Baldi with a golasso from outside the area. Present at the event also the selector of the national under 17, bronze at the World Championships in Costa Rica, Enrico Sbardella who complimented the technical rate expressed by the participating teams. The former footballers "Picchio" De Sisti and Niccolai, with the national secretary of the LND Patrizia Recandio, handed the trophy to the hands of the Lombards. Our Sara is excited and happy about the victory of the tournament: "It is a great satisfaction for me and my companions." Having scored the decisive goal was a strong emotion, I would never have thought to realize the victory network. At the beginning we did not think we could get to the end, but after the first two victories against Puglia and Veneto we understood that we could make it: the decisive turning point was in the match against Lazio in Coverciano. I confirm that Lazio has been the strongest team among those we have faced, and finally the final victory with Emilia Romagna came in. It was an important experience that gave me a lot and I hope it will be useful for me. For the future, I could play with girls I did not know or that I had played against in the league, like Beatrice Merlo, who also took part in the Under 17 World Championship. king for me. " Sara is complimented by the whole family of Mozzano for the title won. Brilliant third place for the Beginners at the international Under 13 Tournament in Locarno. The now traditional manifestation of women's football has seen this year the Inter Women's lead, which in the final was imposed on the selection of Eastern Switzerland. The team of Mr. Cambiaghi missed the final by a whisker against the winners of the tournament, but then easily managed to be right of Real Meda in the "finalina". The event was attended by three Swiss teams (the selections of the Canton Ticino, Eastern Switzerland and Central Switzerland) and five Italians: in addition to the winners and the Mozzanica, the Real Meda, the Fiammamonza and the Juventus Femminile. The final ranking sees four of them in the first five squares demonstrating that, at least at a youth level, our women's football is becoming a significant reality. 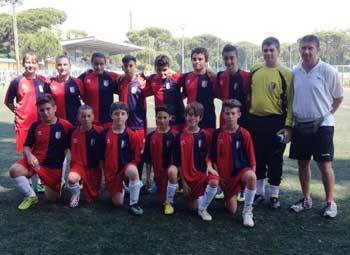 YOUTH SECTOR, GOOD PERFORMANCE IN THE TOURNAMENTS AND NOW GOES ON HOLIDAY. It was a period of tournaments for the female sector of the feminine Amolese. In the Zoliniadi category, in the Esordienti category, the team took second place losing on penalties against the Dozzese. The Giovanissime and the Pulcine participated in the D'Amato Memorial in Osteria Grande. The smallest have made a good impression with Reggiana and Bologna while the older ones have arrived fourth. The latter then went up on the second step of the podium at the Savignano sul Rubicone tournament, organized by Castelvecchio, losing on penalties with Vignola. 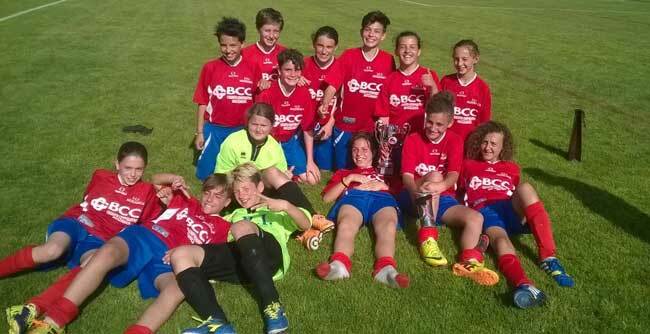 The mixed beginners team has been involved in the "Il Poggio" tournament in Vignola along with the best formations of the Modena area. Paying the fact of being younger (in the field of 2003) the rossoblù team drew a game and lost the other two not qualifying for the next phase. At the Adriasport Springsteen Cup tournament the novelty is represented by the debut of the new coach Denni Bolelli. The first game, for the heat, the field in synthetic, the coach who has yet to know the team, is lost, but in the next two, the coach took the team in hand giving the first settings and the right charge. Read more: YOUTH SECTOR, GOOD PERFORMANCE IN THE TOURNAMENTS AND NOW GOES ON HOLIDAY. The Fortitudo wins the regional tournament "Rosa di Maggio" and does so at the end of an exciting day surpassing the rival Arcobaleno in the final. A victory deserved twice, first of all on the field, but victory was also out of the box. No defeats on three days and only three goals (one per day). Departure at dawn to face the long trip to San Donà, arrival around the 9.00 and shortly after the start of hostilities. Departure Gialloblù quietly against the Rubano off the charts and then a progressive crescendo of the whole team that concludes the eliminatory part with all wins: 3-0 to Rubano (Rebecchi, Dal Frà, Dal Frà); 3-0 to the premises of the City of Piave (congratulations for the plant and the organization) (Dal Frà, Tinelli, Bonfante); 1-0 at the Rainbow B (Tinelli); 4-0 at the Lakes (Dal Frà, Tinelli, Tinelli, Dal Frà); 1-0 at Zelarino B (Dal Frà). So far we can say ordinary administration because the highlight arrives in the queue. The final is all to be told and begins with a certain lake superiority while the Fortitudo appears a little intimidated, but as time goes by the formation of Zurzolo grows and slowly takes over. At the 15 comes the first episode to be told with Dal Frà landed in the area that gets a penalty. Great protests from the Rainbow, but Adami, by service, makes everyone agree by kicking up. Not even the time to recover from the shock that Tinelli, well imbeccata Dal Frà, signs the 1-0 with a nice diagonal and puts the heart in peace to desperate Adami. Shortly after the same Tinelli probably performs the most beautiful technical gesture of the tournament with a left (how many discussions a few years ago because of that foot!) On the fly that is printed on the intersection of the poles. 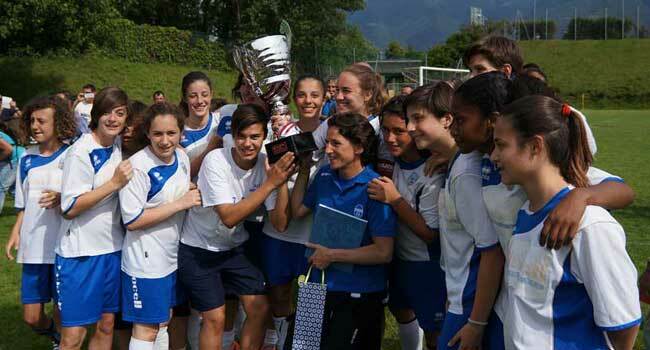 After the prestigious success in the trophy Beppe Viola, the team of Mister Ceroni participates and wins the fourth edition of the international women's tournament of Ascona (CH) dedicated to the category up to 15 years. The tournament has an important dedication and wants to remember a precious person for the Asconese football and for the Ticino women's football: Antonio Manieri, unfortunately passed away in February 2013. Slowly this tournament is becoming an appointment of absolute prestige, not only at the cantonal level, but also internationally. The invited teams were for Switzerland the two most representative regional selections at national level, central Switzerland and eastern Switzerland, and cantonal selection. From Italy there were three teams of undoubted prestige: Inter Milan, fresh winner of the championship of the young category and having already won two of the three editions played so far and was very motivated in the search for the definitive conquest of the most important Cup, Juventus of Turin and our little great players. The tournament started at 10: 15 foresaw teams divided into two groups, the first of their groups directly entered the semifinals, the second and third were played crossing the access to the semi-finals, all with mini games of 30 minutes without interruption . In the beautiful setting of a perfect sunny day, surrounded by the magnificent waters of Lake Maggiore on one side and the other by the immense Swiss peaks, our girls have achieved a victory as beautiful as deserved. The triumphal path began in the eliminatory round with a double victory with Rappr. 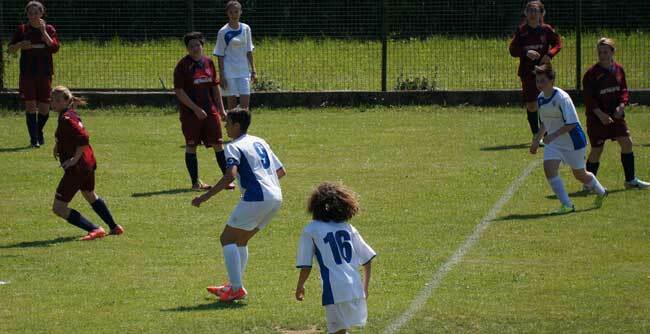 Ticino for 2 to 1 with networks of Comi and Baldi, after which Juventus netted 4 networks to 1 (2 Borges, Comi and Baldi). In the semi-final umpteenth big match against the battleship Inter, with the victory for a zero net thanks to the Baldi goal at the 5 °, and finally in the final big win against the Rappr. of Central Switzerland for two goals at zero thanks to Martella and Viscardi. The "youngest" team of the Res Rome beats the P.Puglisi Nettuno Don and graduates regional category champion, gaining access to the national finals that will be held in June at the technical center of Coverciano. The young Giallorossi led by the duo Ceccarelli-Sergi have shown their value, repeating the excellent evidence provided during the first phase, in which they faced the same age as Lazio, Asd Rome and Vis Roma Nova. 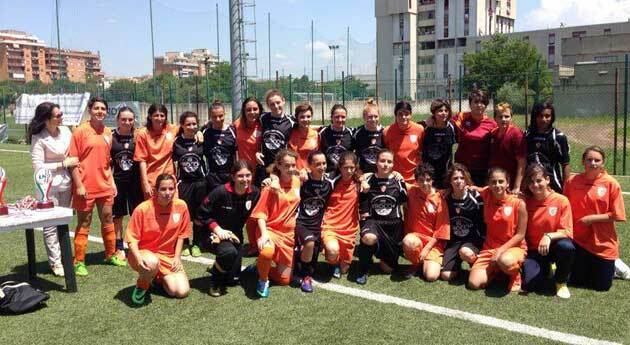 The goals of the finals have been scored by Dessi, Di Giammarino, Caruso, Fiorini, Labate, Catano and Celi; at the end of the race both teams were awarded by Alba Leonelli, head of women's football at the Lazio Regional Committee. In the graceful setting of the beautiful Franciacorta hills, the youngest of Mister Ceroni, on this occasion accompanied on the bench by the accompanying manager Lingiradi GianFranco, play the last league match of this football season 2013 / 14 contre the cousins ​​of Franciacorta. The league now has nothing to say, the positions are assigned, fourth victory in a row for the battleship Inter (compliments from all the staff of Asd Mozzanica), second place for Brescia and the third step already won by Mozzanica. 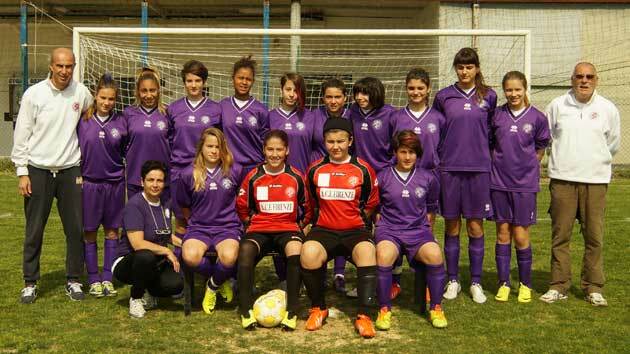 Last game of debutants won a table for the Vicenza Women's Football Tuesday that 13 May at 18.00 in the Stadium awaits in vain the Longer Castegnero, which does not occur, so that the coach decides to play the same athletes taking the field with them . 24 points, 7 wins and 3 draws, 25 goals scored and 7 suffered: these are the staggering numbers of Falconero girls who hold the record of unbeaten, having never lost a single challenge. Day of return of the "Rosa di Maggio" Spring Promotional Tournament with a bang for the girls of Falconero who on Sunday 18 May at the Campo Comunale of San Zeno di Mozzecane (Vr) collect only one defeat winning three matches and drawing two. Here are the results: Vicenza Calcio Femminile - Rubano (A): 1 - 1; Arcobaleno Bardolino (A) - Vicenza Women's Football: 3 - 0; Fortitudo Mozzecane - Vicenza Women's Football: 0 - 0; Vicenza Women's Football - Cadidavid: 4 - 0; Vicenza Women's Football - Rubano (B): 3 - 0; Arcobaleno Bardolino (B) - Vicenza Women's Football: 0 - 1. 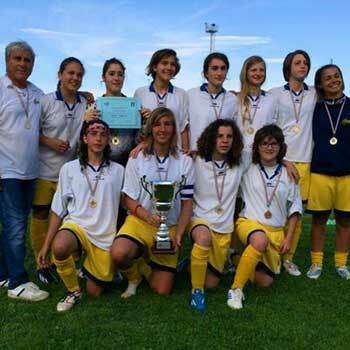 Sunday 11 May 2014 on the sports field "LA BUCA" in GIOVI D'AREZZO the viola training, with the away victory on STELLA AZZURRA, has amply and comprehensively proved to deserve the title "CAMPIONESSE REGIONAL CUP TUSCAN 2014 - category" GIOVANISSIME " . Although the title has already matured since last Sunday belonged to the Florentine line-up, in fact the match with the most prestigious formation of the tournament was missing, holding the title of regional champion of the "very young" 2013 / 2014 championship. The kick-off is a release for ACF FIRENZE ASD: Come on, finally! - Here we are!